Standard Tel Networks, a subsidiary of BluePrint Technologies Inc., is a dynamic, progressive business communications advisor and provider of the most reliable and feature-rich unified technologies and business communications products, services and applications available today. Through the company’s proprietary TelefficiencyTM program, they design, implement, finance and support a wide-array of communications solutions including: VoIP, mobility/unified communications, data networking, audio, video, and web conferencing, and cabling and infrastructure. Maintaining real-time, seamless communications between employees and customers over large areas can be difficult at best. However, accomplishing this in an expansive outdoor environment is a completely different story altogether. 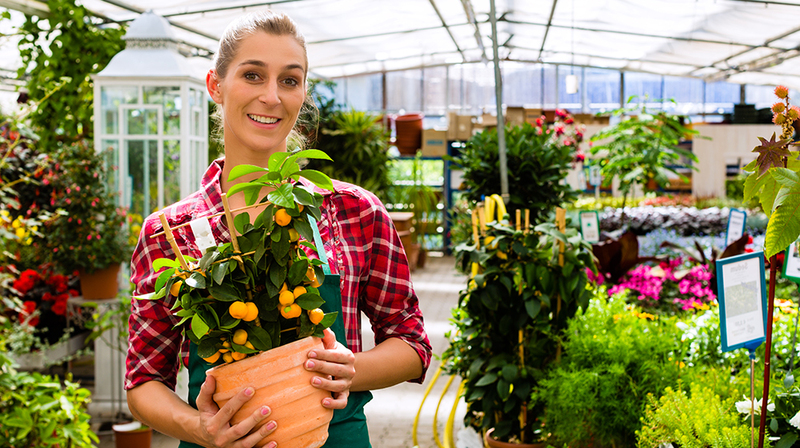 When Christopher Barry, a senior account executive at Standard Tel, received a call from the owner of a multiple-location nursery and garden supply business, he was well aware of the challenges the business was facing. According to Barry, most of the employees were carrying two-way radios allowing them to communicate throughout the property in real-time. However, to answer phone calls from customers calling into the business, employees were paged on the walkie-talkies and then had to walk to the building to receive the phone call, often subjecting customers to long wait times on hold. Barry stated that in an attempt to increase their efficiency and improve customer service, the business had tried many other cordless phone solutions in the past. However, due to the sheer size of the property and the metal and concrete construction of the main building, all of the previous cordless phone solutions had failed to meet the basic requirement to provide phone service throughout the property. It would take some serious wireless technology to be able to meet the needs of this business! As soon as Barry spoke with the nursery’s owner, he knew that the only system that could solve their issue was the EnGenius DuraFon PRO. According to Barry, the general manager was less-than-optimistic when Barry showed up to provide a demonstration of the DuraFon PRO’s capabilities. However, the demonstration quickly proved that the DuraFon could do what no other previous solution could. Barry explained that the owner of the nursery was so impressed by the performance of the DuraFon PRO system, that he was convinced that this system could change his business by improving customer service and increasing employee efficiency. DuraFon PRO systems are now being phased into the company’s three existing locations and DuraFon handsets will eventually replace the walkie-talkies. In the soon-to-be-opened fourth nursery location, the walkie-talkies, a communications mainstay of the business for many years, have been eliminated, and DuraFon PRO provides the entire voice communication infrastructure throughout the property. Learn more about Long-Range Phone Systems from EnGenius.